A closer at the hair care industry in Ghana reveals a huge void in catering for the need of Ghana’s ‘naturalistas’. The hair care industry in Ghana has for a long time largely tailored towards the needs of relaxed hair whilst leaving individuals who choose to keep their hair natural in dire need of products and services suited for their hair texture. 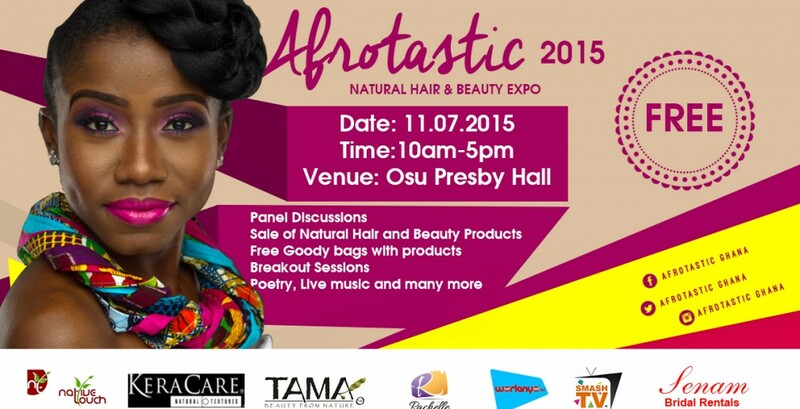 Recognizing the need to educate individuals and stylists on how to take care of natural hair, two Ghanaian natural hair bloggers, Naa Motsoo Allotey, a certified natural hair stylist and Annette Akye, a natural hair and beauty consultant created the Afrotastic Natural Hair and Beauty Expo. 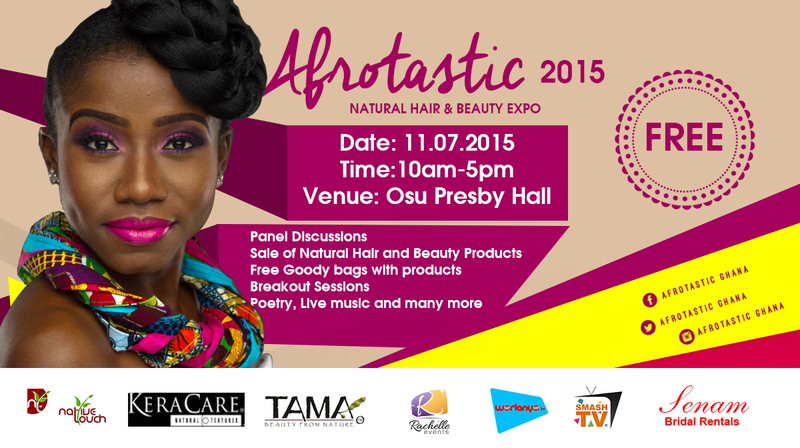 This year’s event is scheduled to take place on the July 11 ,2015 at the Osu Presby Hall from 9.30 am to 5.30 pm. This Expo has become an annual natural hair event which brings together women and even men of all ages under one platform to learn, share, interact and with one another and also connect with businesses that provide natural hair care products and services. This year’s theme Good Hair, Bad Hair focuses on discussing what characterizes good hair or bad hair in the Ghanaian society. The program will also feature panel discussions from experts and bloggers in the Natural Hair community, an interactive natural hair seminar, breakout sessions, sale of natural hair and beauty products, poetry, live music, goody bags amongst others. Participation in this event is free for all individuals. For more information visit www.afrotasticghana.blogspot.com or contact Afrotastic Ghana on all social media sites or by email at afrotastic.ghana@yahoo.com or call Tel: +233236900069.